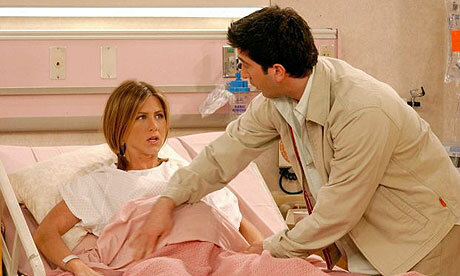 Rachel and Ross from Friends demonstrate perfectly coiffured childbirth. Ok, Miranda has one small hair out of place but SJP? A ‘real’ birth partner would be knackered and covered in bite marks/poo.